How's it going? What kind of healthy things have you been snacking on? I always like granola bars. I don't know about you, but I get SO sick of store-bought granola bars. Plus, the last box I bought tasted stale and they weren't even expired. 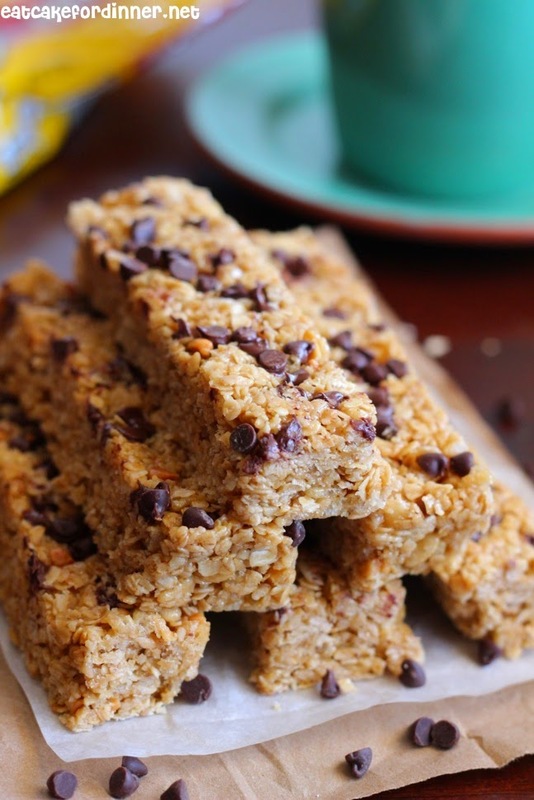 Sometimes, it's so convenient to just grab a box at the store, but homemade granola bars really are so easy to make. You probably already have most of these ingredients on hand and in just a few short minutes, you can have homemade WAY BETTER than store-bought granola bars. The flavor possibilities are endless. Today, I was feeling like peanut butter and chocolate chip. I love the combination of all these flavors, they all blend together perfectly and leave you with a super delicious, very soft and CHEWY granola bar. Click HERE to get this delicious recipe over at The Recipe Critic's Site. Labels: Bars and Brownies, Breakfast, Misc. Mmm I love making homemade granola bars, and chocolate and PB is my favorite kind!! Yours look delicious! I love homemade granola bars! Pinning to try soon!